New York based Timeshares have announced they will release their debut album Bearable on October 25th through Kind Of Like Records and Kiss Of Death Records. 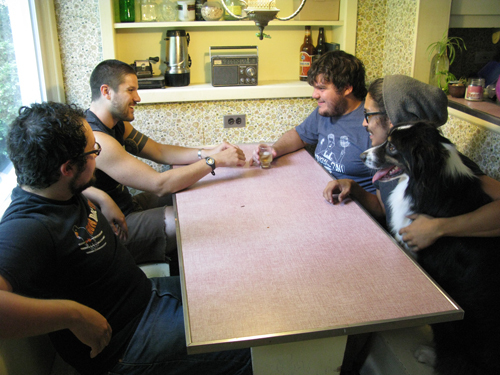 Recorded in Natoli’s home studio, Dickbutt Studios (Spraynard, Sundials, Cattle Drums), alongside singer/guitarist Jon Hernandez, Bearable will be available in vinyl and digital formats, and will feature 8 brand new songs alongside 4 re-recorded and reworked songs from their previously released demo and 7″ split with Captain, We’re Sinking. To coincide with the announcement, the band has posted the track “Too Many ELO Days” off the forthcoming album on theirwebsite.